Finely shred the cabbage and place it in a large bowl. Add to this the grated carrot and shallot. Mix together with your hands. In a separate bowl whisk together the mustard and the vinegar. Gradually add the olive oil, blending well with each amount of oil added. Add a little salt and pepper and mix through. 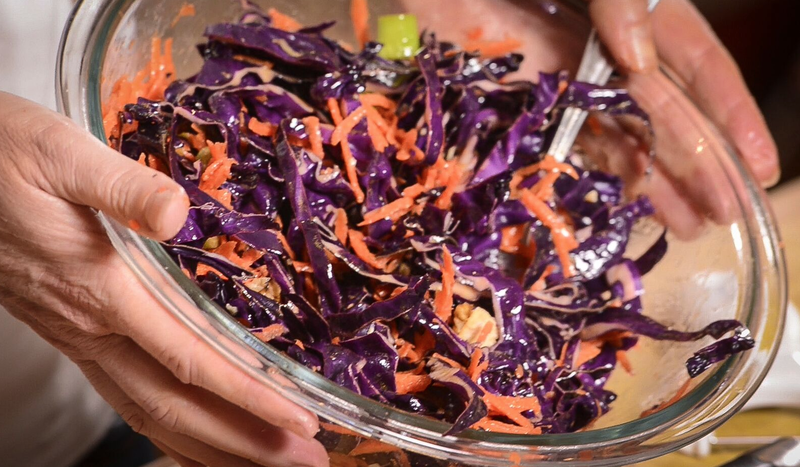 Pour the dressing over the cabbage mix and toss through. Lastly add the parmesan and the walnuts, both roughly crumbled.